They're crisp, they're sweet, they're tart and they're falling from trees in west Sonoma County right now. The Gravenstein apple was once a ubiquitous treat throughout Sebastopol orchards before grapes became the dominant cash crop. But the apples still prosper, and the Gravenstein Apple Fair, entering its 43rd year this weekend with two days of food, drinks, live music, arts and crafts, contests and fun, puts the fruit front and center. Highlights include the pie-baking contest, in which locals are invited to whip up their best apple pie for the lucky judges to sample. For the rest of us, fritters, caramel apples and pies aplenty go well with barbecue, Indian cuisine, tacos, teriyaki, paella and popsicles from celebrated local food vendors. Craft ciders, beer and wine will help the food go down, and a chef's tent features masterful dishes from John Ash & Co. chef Thomas Schmidt, Michele Anna Jordan and others. Kids will love the various farm-life activities, and adults can groove to music by David Luning, Bootleg Honeys, Tommy Thomsen, Dgiin and others. 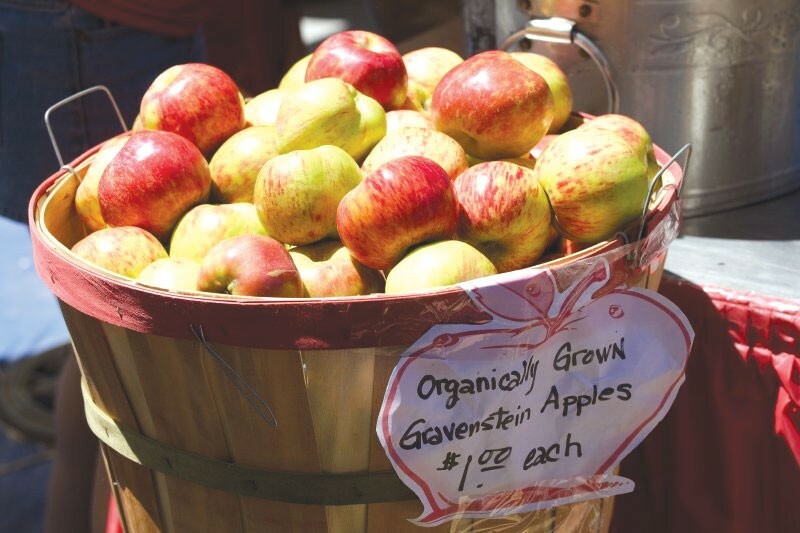 The Gravenstein Apple Fair happens on Saturday and Sunday, Aug. 13–14, at Ragle Ranch Park, 500 Ragle Road, Sebastopol. 10am–6pm. $10–$15; kids five and under are free. www.gravensteinapplefair.com.